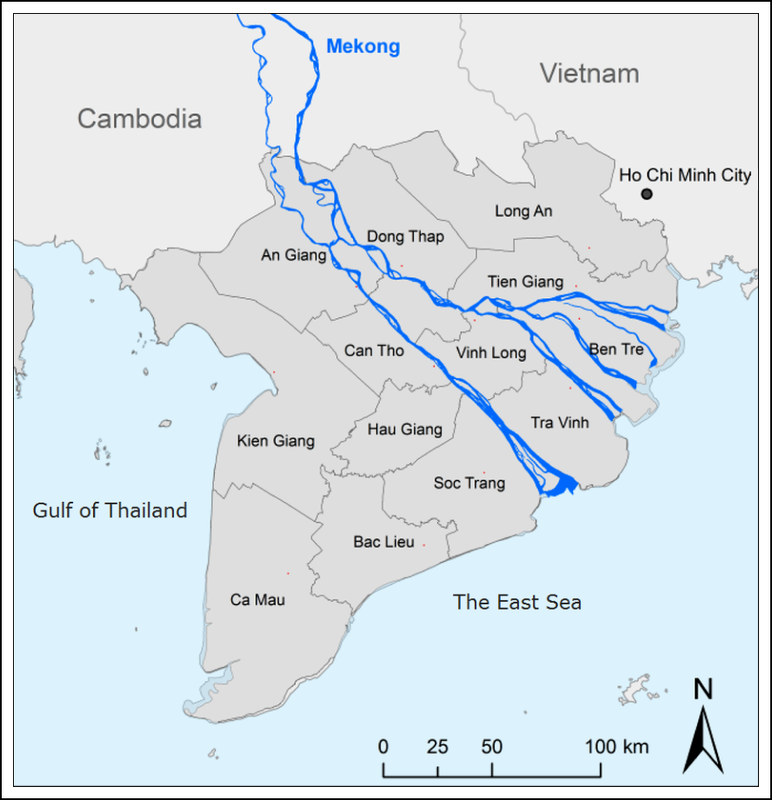 The Mekong Delta (in Vietnamese: “đồng bằng sông Cửu Long” (“Nine Dragon river delta”) is the region in southwestern Vietnam where the Mekong River approaches and empties into the sea through a network of distributaries. The Mekong delta region encompasses a large portion of southeastern Vietnam of 39,000 square kilometres. The size of the area covered by water depends on the season. The heart of the Mekong Delta are Can Tho, Vinh Long and Sa Dec Provinces, from where it is possible to reach the remotest confines of the delta, South towards the mangroves and the South East Asia Sea, North towards Chau Doc, or West towards the island of Phu Quoc. The Mekong River is the 12th longest river in the world. It is about 2,700 miles long. The Mekong River is known by many names. It is called Lancang Jiang (meaning Turbulent River) by the Chinese, Mae Nam Kong (meaning Mother Water) by the Lao and Thai, and Cuu Long (meaning Nine Dragons) by the Vietnamese. 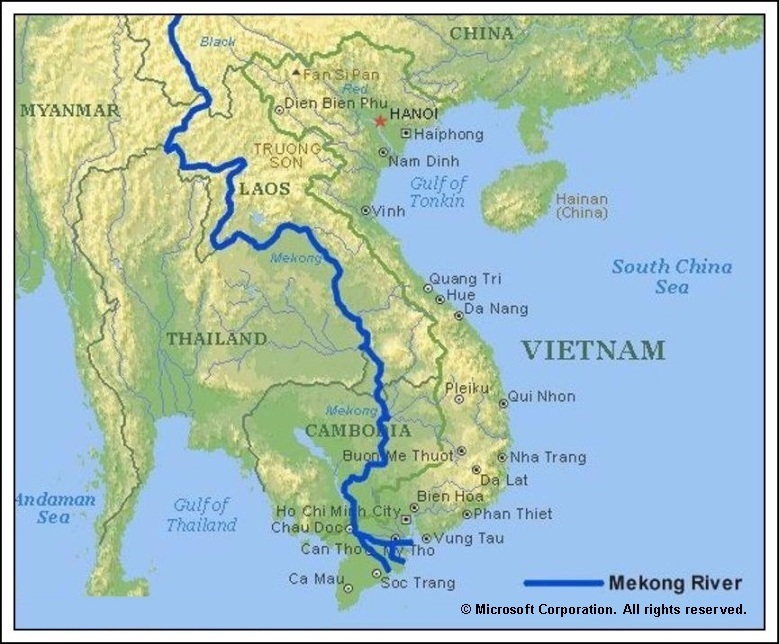 The Mekong River flows through China, Laos, Cambodia, Thailand, Vietnam and Myanmar.